Why and when was the Globe Theatre Destroyed? 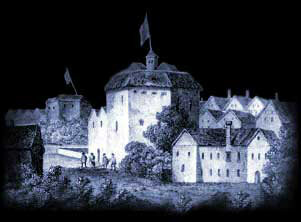 The Globe Theatre was destroyed by the Puritans, also known as the Parliamentarians. The strict religious views of the Puritans disapproved of various social activities within England which developed into adopting strict codes of conduct which deplored any kind of finery or flippant behaviours. The Puritans deplored the Globe Theatre and all that it stood for. The Globe Theatre was destroyed by the Puritans in 1644.
again. But the Globe Theatre is never re-built - until 1997! Interesting Facts and information about the Globe Theatre Destroyed. Additional details, facts and information about the Globe Theatre can be accessed via the Globe Theatre Sitemap.